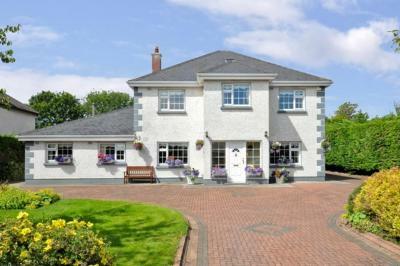 Lock in a great price for Shanlin House Bed and Breakfast – rated 8.8 by recent guests! I liked the friendliness, cleanliness and general care they took to make us feel at home. Seamus our host was excellent, friendly and helpful with dinner suggestions, directions etc. Super convenient location. Yummy breakfast ! Breakfast was fantastic! Seamus is a wonderful host. He is very friendly and helpful with maps and information in the area. He was very accommodating for us and when asked he was able to put us on a first floor. The owner is such a lovely gentleman, the room for a single was way bigger than I was expecting and so was the bed. It is such a lovely B&B. The breakfast in the morning was absolutely yummy. The owner couldn't have been more accommodating. 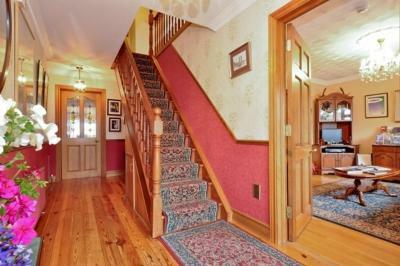 This B&B is a home a way from home. The friendliness and making us feel at home. Seamus was very welcoming and it was great. We would return to Ireland just to stay here again. Lovely host. Friendly, helpful with excursion planning, recommendations about local restaurants. Great central location. Easy day trip south for Burren and Cliffs of Moher. Another easy trip north for Connemara. Oranmore was a great little town. 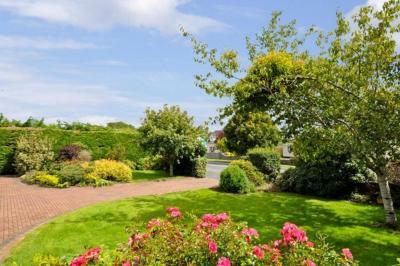 Castle, water, pubs and restaurants within walking distance of B&B. Easier than being in Galway but with same location benefits. 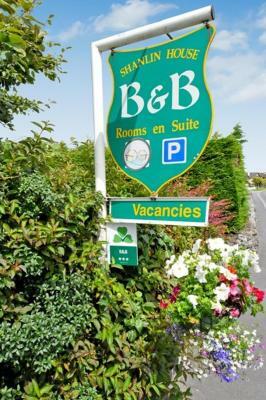 Very comfortable, knowledgeable proprietors, walking distance to town with decent pubs and restaurants. Breakfast included. Wish I had stayed here longer. 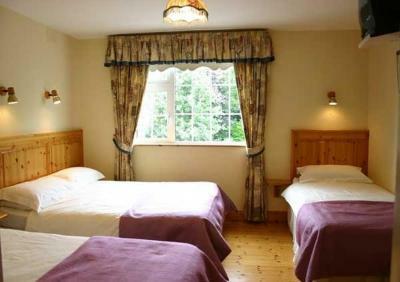 Nicest budget place Ive stayed in UK and Ireland. Really nice house. Host was welcoming and breakfast was great! Shanlin House Bed and Breakfast This rating is a reflection of how the property compares to the industry standard when it comes to price, facilities and services available. It's based on a self-evaluation by the property. Use this rating to help choose your stay! 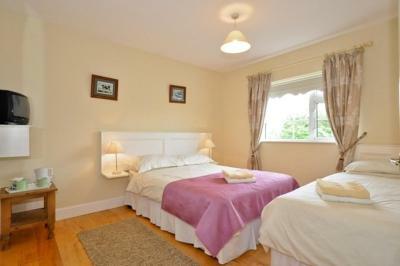 Bright and colorful, rooms at Shanlin House B&B each have free Wi-Fi, a TV, and tea/coffee-making facilities. 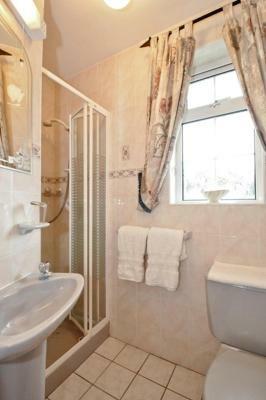 Every room also has a private bathroom with shower, ironing facilities, and a hairdryer. 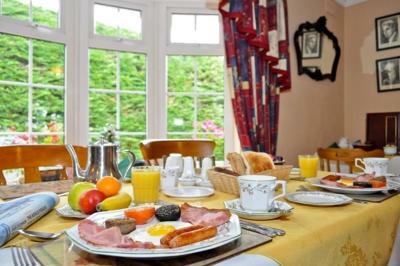 A wide selection is available for breakfast, including hearty cooked breakfasts, fresh fruits, cereal and cheeses. 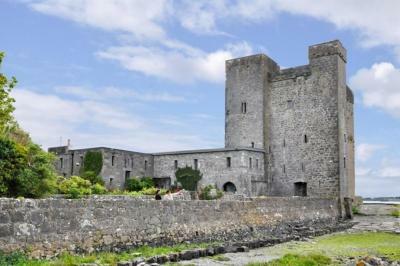 Free parking is available, and Oranmore Castle is just half a mile away. Galway’s center is 15 minutes away by car. 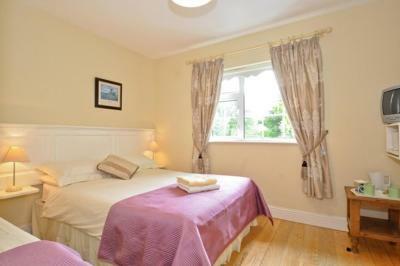 Galway Bay Golf Club is a 5 minute drive from the bed and breakfast. 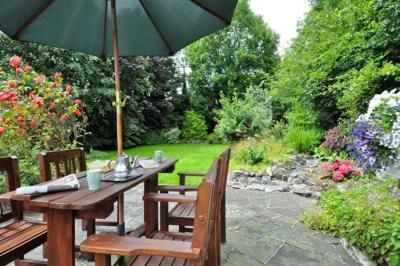 When would you like to stay at Shanlin House Bed and Breakfast? Front-facing room with free Wi-Fi, a TV, and tea/coffee-making facilities. 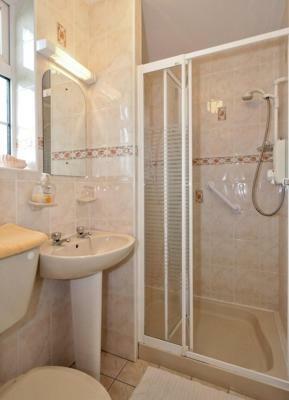 Every room also has a private bathroom with shower, ironing facilities, and a hairdryer. 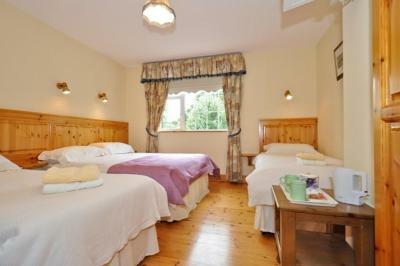 Overlooking the garden, this rear-facing room has free Wi-Fi, a TV, and tea and coffee-making facilities. 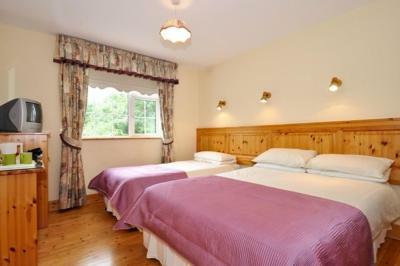 Every room also has a private bathroom with shower, ironing facilities, and a hairdryer. 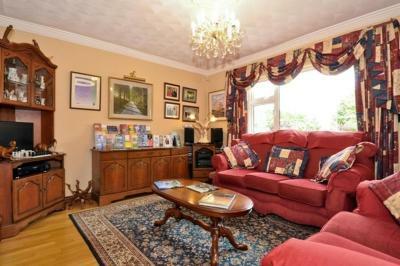 Free Wi-Fi, a TV and tea and coffee-making facilities are featured in this room. House Rules Shanlin House Bed and Breakfast takes special requests – add in the next step! Excellent hospitality. 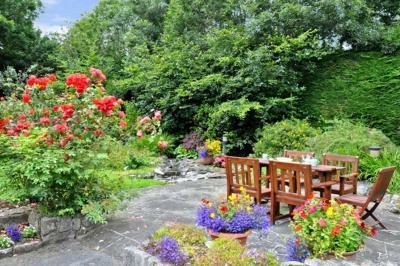 Nice location to visit all the region: Galway, Cliff's Moher and other local attraction. Room with shower very comfortable. Host is very friendly and helpful with maps and information in the area. Great stay, friendly host and very welcoming! Had a couple of rooms for our family, right next to each other, and they were tidy and cozy. Small rooms and the beds were a little firm for us, but we slept fine. 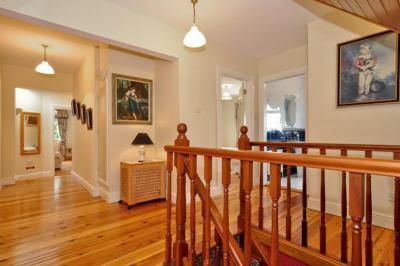 Very clean and simple but beautifully decorated. Breakfast was wonderful (and large!). Great stay and would recommend! Beds were disgusting. Old sheets, very hard old mattress, very uncomfortable, poor quality linen, lamp didn’t work, couldn’t control heating, heater along the single bed (touching it, not safe). Host was very welcoming. Feeling of warmth, relaxation and homeliness. Rooms very clean. Quiet place to stay and very good location. Off street, secure parking. Lovely breakfast. Make it clear upon arrival that payment is due at checkout. I didn't realize when I booked this place that the payment wasn't automatically taken like the others I had booked. beautiful rooms and breakfast. the paintings upstairs with the info graphs were a really nice touch. Lovely staff and perfect location. Highly recommend going to the Chinese restaurant up the street for supper. Amazing host and breakfast! Fantastic stay! The hospitality was excellent. Friendly & couldn't do enough for us. Come & go as we pleased. And the best of all, was the breakfast. We will stay here next time we visit Galway. Fantastic find. Gentleman in property extremely welcoming from the minute we arrived. Nothing too much trouble. Was happy to cook breakfast early for us so we could leave early to go to Galway rally. 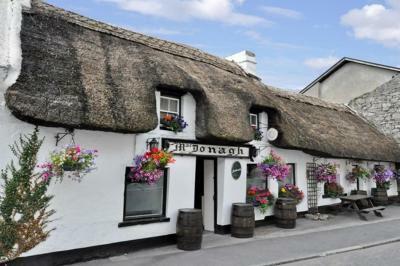 Lovely find and definitely will be back if staying in Oranmore again. Seamus was a great host and very personable. Short and pleasant walk to the town. My room was comfortable and clean, perfect for a night away and breakfast was delicious. Thank you Seamus! 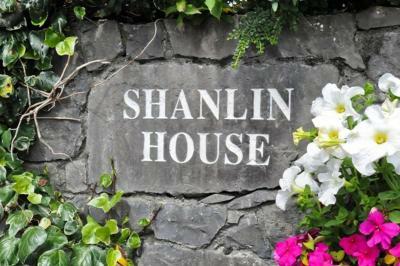 It was a pleasure to stay in Shanlin house! Thank you! Highly recommended! Nice Place, and Comfortable. Wifi Rubbish in our Room. Easy Parking.Close to Town Center,15min Walk.